A delicious dark chocolate bar filled with indulgent and creamy caramel. Dark chocolate 65% (cocoa mass, sugar, cocoa butter, butterfat (milk), emulsifier, sunflower lecithin), Caramel filling 35% (sugar, glucose syrup, evaporated milk, coca butter, butter (milk), skimmed milk powder, cream powder (milk), cocoa mass, whole milk powder, humectant: sorbitol syrup; butterfat (milk), salt, flavour: caramel; emulsifier: sunflower lecithin; antioxidant: ascorbic acid; flavour: vanilla). 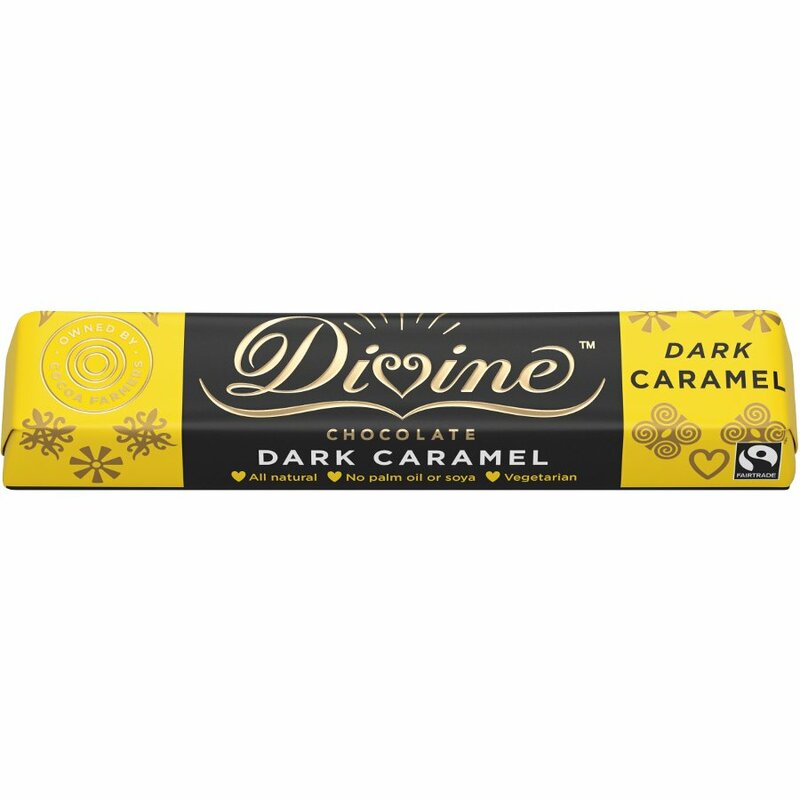 There are currently no questions to display about Divine Caramel Dark Chocolate Small Bar.